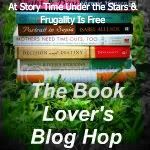 I started this blog to show some of the many ways you can obtain great books to read for free. One of those ways are through publishing companies that have programs from bloggers to review and keep their latest books, sometimes before they are released to the general public! One of these programs is called Booksneeze. I signed up with this program quite a while back. I blogged about it on my other site when I signed up, and also when I got my first book. The book that I received was a long one. Actually, when I signed up for the program, it was the only book available besides a Bible, and I couldn't very well see completely reading and reviewing *that* in any amount of time. The book I chose was titled "On This Day In Christian History: 365 Amazing and Inspiring Stories About Saints, Martyrs, and Heroes." It was written by Robert J. Morgan. When I first got this book, I was quite hopeful that it would be something that I could share with my oldest daughter, who recently turned 5, just to begin educating her about the history of the Christian church. I quickly realized that this is not something I would be able to do. Many of the stories contained quite graphic accounts of events, and were certainly NOT fit for young children. The author of the book must have dug through countless historical documents to find items to use on each day of the year. Some of them are a bit of a stretch, as the story itself spans a long time, and one minute detail actually happened on that day in history, but I give him a lot of credit because I am sure that was no easy task. I found many of the stories in this book to, not actually inspired, but in many cases shed a bad light on the people. Some were meant to, but a lot of them mad me sad that the early Christians would have acted in those ways. There were plenty of heart warming stories scattered in, and a few of them even brought a tear to my eye, especially those about missionary families being taken care of miraculously during dangerous times in their lives. In all, I found that this book would make a great piece to leave on the coffee table or in a guest bathroom, but probably should not be a main daily devotional, unless perhaps you are a student of Christian History. It would be good for pastors or speakers to pull inspirational stories from for sermons, etc. I think it would be a great addition to any church library, to be pulled from occasionally for references. Has anyone else read this book? What did you think? Would you be interested in reading it? I'd love to hear your comments! Hi, there! This is a brand new site that I am in the process of setting up. If you've stumbled across it, welcome! Stay tuned, and I will have some great new posts and free books coming your way shortly!